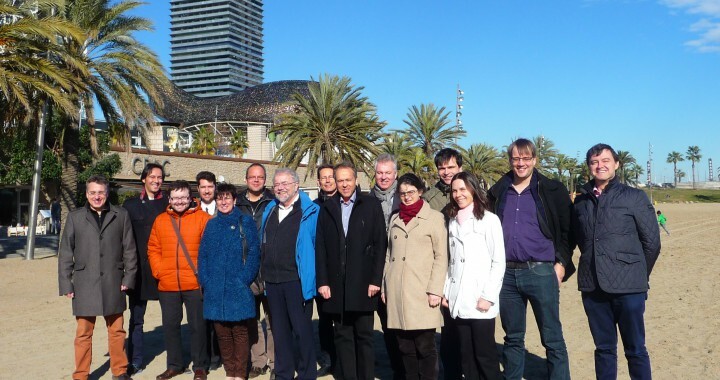 The Biocascades Project started the project with a Kick-off meeting in sunny Barcelona, Spain, last January 25, 2015. This is the first time where all the project partners would be meeting the whole consortium, so it is very important to have an informal (spontaneous) gathering the night before the meeting proper. All principal investigators of each Partner institution and Associated Members were invited to present their project ideas to the consortium. The training manager provided an overview of the workshops that the ESRs will participate during the duration of the project. The management team provided an overview of some administrative aspects of the project. Lastly, Organizational bodies were elected for the Biocascades government structure. Also, Dr. Ivan Lavandera was elected to be a member of the External Advisory Board.